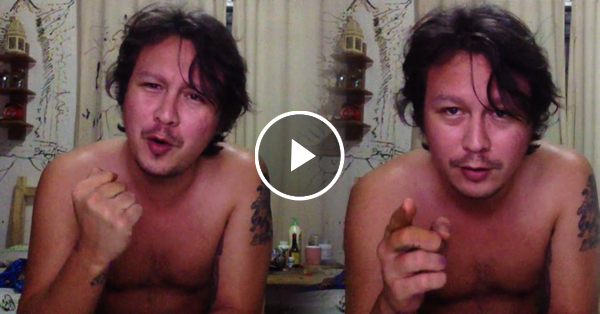 Another video of Baron Geisler went viral online! MUST WATCH! Home / News / Another video of Baron Geisler went viral online! MUST WATCH! We all know for a fact that each time Baron Geisler becomes a trending topic online, it's either he's too drunk or he's doing something really strange. But now, everything's different, he became a trending topic without exerting too much effort or without getting drunk. Baron has become the talk of town after he uploaded a video of him singing "Can't Help Falling In Love." He posted in the video that he's just another "Wanna be" singer and that he just tried recording a video of him while singing to try if his fans will love it. And, it seems that the netizens fell in love with Baron's angelic voice! They claim that he's not just an ordinary multi-awarded actor but also a man who has a lot of hidden talents. However, some people still noticed that Baron's drunk in the video, but still, they claim that he has a great voice.